Brooklyn Mango Marijuana has a marked scent of Mango and produces compact and resinous buds. It is easy to grow being suitable for beginners. The study for the creation of this strain started looking for plants with a marked scent of Mango and with compact and resionous buds. After many studies, the mother's Ed. Rosenthal Super Bud was finally chosen, selected from original Sensi Seeds, is was chosen for its Indica character and strong pineapple aroma. Brooklyn Mango has The hard and compact buds full of resin that Brooklyn Mango has are due to Super Bud inheritance. Different strains were tested in order to obtain the optimum result that we were looking for until we finally sought in a mother of New York City Diesel from original Soma Seeds. This plant, apart from its structure brought a touch of Diesel and Mango that breeders were seeking. While the mother elected on the diesel smell is not very latent, is different in its offspring combining this exquisitely with touches of tropical mango, lemon and pineapple that gave Brooklyn Mango its own personality, being unique. The result is a plant with 8 to 9 weeks of flowering time, a shaped bush leaving many hard buds, compact, dense and filled with resin while flowers can embelish and release a wonderful smell of mango and tropical fruits. It is suitable for any type of crop, however, the outcome will always be much higher in hydroponics and aeroponics. 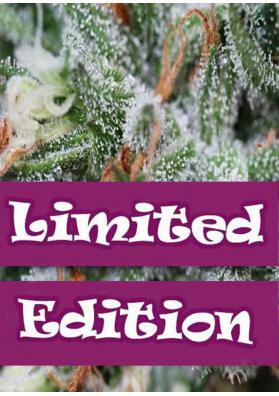 Suitable for begginers who have always a minimum know-how in cannabis cultivation. It is also important to know that Brooklyn Mango needs more drying time than normal due to the amount of trichomes it produces. Besides that you also must be very careful in drying the buds properly in order to prevent fungal problems. In respect to more advanced growers, Brooklyn Mango also responds very well in SoG or SCRoG cultivation where you can multiply its production. As for outdoor production and with a good substrate, Brooklyn Mango can achieve a considerable size andyield up to 1 kg of dry buds.